A printed A3 wedding seating plan with a personalised design to suit your venue and wedding table arrangement. A wedding seating plan is usually used at a wedding reception, although it is equally suited to any formal dinner where there is a specific seating arrangement. It is placed at the entrance so that guests can find out where they are sitting. This printed wedding seating chart is A3 in size (29.7 x 42 cm). It can either be mounted on to a wall or other surface or can be framed and then hung or used with an easel or stand. It will fit standard A3 size frames (not supplied), which can be found in high street stores or at framing shops. This printed wedding table plan is available in any of The Leaf Press wedding stationery designs. Each design is based on two colours, which can be selected from the wedding stationery colours chart. The layout can be either landscape or portrait, to suit your wedding reception layout. The plan can comfortably fit on up to 9 tables and a top table, with guest names added. 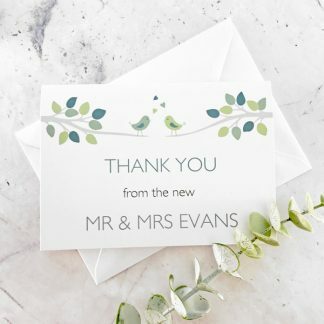 The Leaf Press will work with you to produce the design you would like and will e-mail proofs before printing in order to ensure everything is satisfactory. The seating plan is printed on 300 gsm white or ivory card using pigment ink, which is designed to be smudge proof and splash proof. 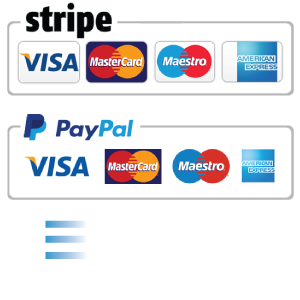 There is a choice of card with a smooth or textured finish. 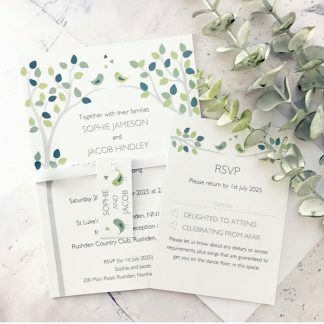 There is the option to have a second identical printed A3 wedding seating plan for an additional £5.00 – ideal if your venue has more than one entrance.